Dihyah – the Israelite Queen of Africa, and military leader shares a history as rich and consistent with that of the Ashanti Queen Yaasantewah who mobilised the Ashanti army to fight the British. Queen Yaasantewah was the descendant of Levi and Queen Dihyah of the tribe of Ephraim and she also stirred her armies to subdue the Arab hordes seeking to possess their possession. On the map below you will find Numidia, in North Africa; the ancient kingdom of Libya, and modern day Algeria. This land became the possession of Ephraim, Manasseh and Judah. The history of Dihyah the Israelite Queen , who fought bravely against the Arab incursions into North Africa, has been brutalized by Arabs scholars whose Muslim armies she defeated, and has been typically relegated to the sphere of myth and legend by western historians. Discovering the truth about Queen Dihyah [Kahena], is problematic since the researcher will soon encounter the many names by which she has been called in an effort to create confusion. The Arab Muslims named her Al-Kahena, meaning ‘the sorceress, priestess, soothsayer’, derogatory labels related to the gifts of prophecy she possessed. “This woman had three son, heirs of command of the tribe, and as she had raised in her eyes, she ran to his fancy and ruled through them, the whole tribe” (History of the Berbers, trans. From Slane, t. III, p. 193). Clearly, her determination to resist Muslim incursions into her territory brought contempt from the Arab Muslim leadership because she was a woman. 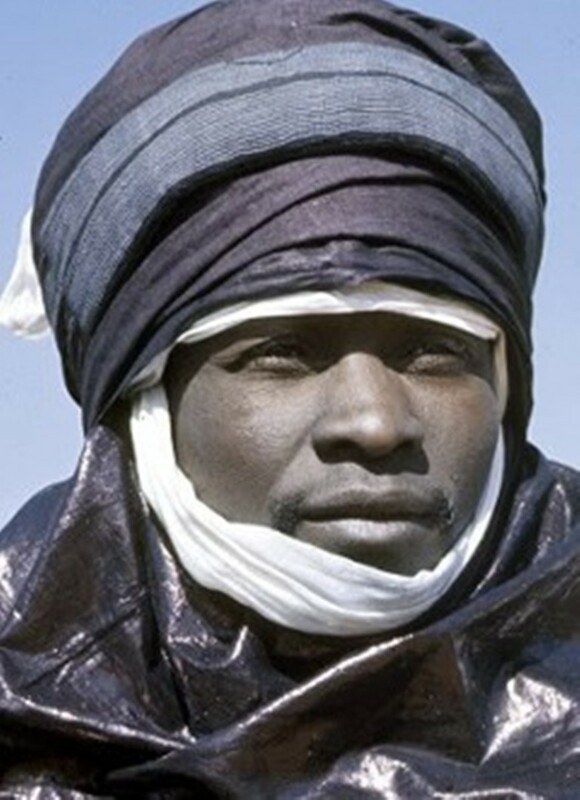 After Abd al-Malik was appointed governor of Ifriqiya (Africa- meaning Libya) he appointed Hassan ibn al-Nu’man as military leader of a large army. Having engaged in a battle with Queen Diyah the Muslim hordes suffered a humiliating defeat. Though we cannot be sure if Diyah was from the tribe of Ephraim or Manasseh, her kingdom is in close proximity to Nun. It is also notable, that during the 7th century, the only geographical location referred to as Africa (Ifriqiya) was Libya). The defeated forces of Hassan, retired to the province of Barka where he remained for six years, between (693-94), when he was again given orders by the western appointed governor to march against Kahena. During the second battle Queen Dihyah and her children were defeated and killed. (Trans. Fagnan, African Journal, 1896, p. 379). Typically, little can be found from Arab Muslim or western sources of her Hebrew origins, but once again geography leads us to the truths behind the myth. Since there is no Hebrew tribe bearing the title Berber [another historical veil] we will reject the name and refer to them as a Hebrew people, the descendants of Abraham, Isaac and Jacob. 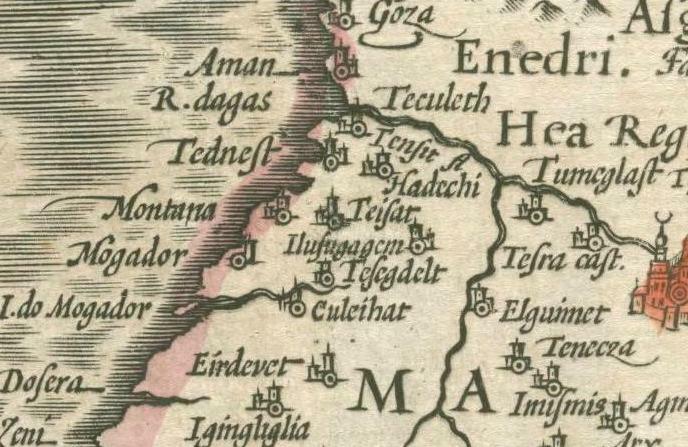 As aforementioned, the land northwest of Africa is the ancient land of Ephraim and Manasseh, with some regions such as Souda [Sudan] belonging to the tribe of Juda since the days when Jacob walked the earth. On the northwest coast there is the city of Nun, land of Joshua, and in central North Africa there is the tribe of Gad home of the tribe of Gad, and there are traces of the supposed mythical queen said to be everywhere, and attested to by the residents of Maghreb. 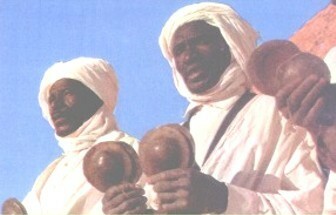 Most sources recognize the Hebrew practices of the Berbers over which she ruled. Ibn Khaldun was an Arab Muslim who wanted his people to possess the land of Jacob, and his comments reflect his desire. While digging for the real history of Queen Dihyah you will find that the western and Arabic scholars are united in concealing her history and Hebrewism. There is no doubt that certain regions in North Africa was the land of David and Solomon, (Judah) a truth attested to by another Muslim; Leo Africanus, who cynically admits that residents (Berbers) in the region during the sixteenth century, claimed their possession of the land from antiquity. The historical record of Queen Dihyah and her true identity as a Hebrew monarch of Numidia (Libya/Algeria), has certainly been the subject of both western and Arab Muslim revisionism, but the truth cast down to the ground will rise again. Her existence proves that some of the tribes of Ephraim and Manasseh had escaped the Assyrian exile, and had occupied their inheritance in Africa until the Umayyad Caliphate conquest of North Africa. Next story Second Exodus or Rapture?